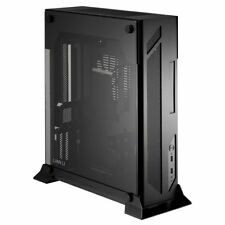 PC-O5SX Lian-Li PC-O5SX Mini-ITX Chassis - Black - PC-O5SX (Components > Computer Cases). Wireless Networking. Images for illustration purposes only. Other Drives and Storage. Tape and DAT Drives. Hard Drive Caddies. 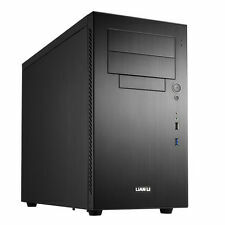 Antec ISK 310-150 Mini-ITX Desktop Chassis (UK). 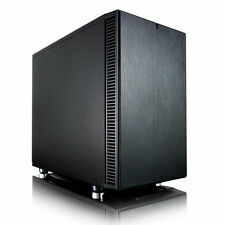 Antec ISK 300-150 Mini-ITX Desktop Chassis (UK). 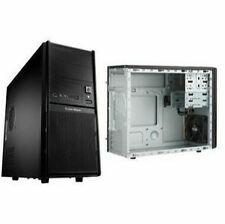 Bitfenix Prodigy Mini-ITX BFC-PRO-300 Chassis (Midnight Black). 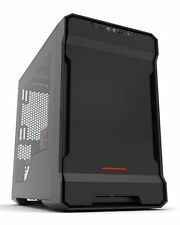 BitFenix BFC-PRO-300-RRXKR-RP BitFenix Prodigy Mini-ITX Cube Case - Red. 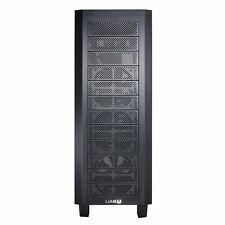 Lian-Li Industrial Co. Ltd, has launched the O Series open-air, wall-mountable chassis: PC-O5X, PC-O5SX, PC-O6SX and PC-O7SX. Through the oversized tempered glass window, onlookers can see the entire build unrestricted. Ending Soon. Material Aluminium. PC Components. Desktop PC. Drive rack in the behind of the MB tray,It supports one 3.5″ and one 2.5″ drives or two 2.5″ drives. On the MB tray HDD rack can support three 3.5″ drives and one 2.5″ drive.